Payment Methods allows you to configure the payment options which will be available to customers during checkout. You can then display these options to your customers as a select menu, or hard-code the selected payment method in to your templates. For more information, see Payment Gateways. Each payment method has a Short Name which must be used to identify it in your templates. 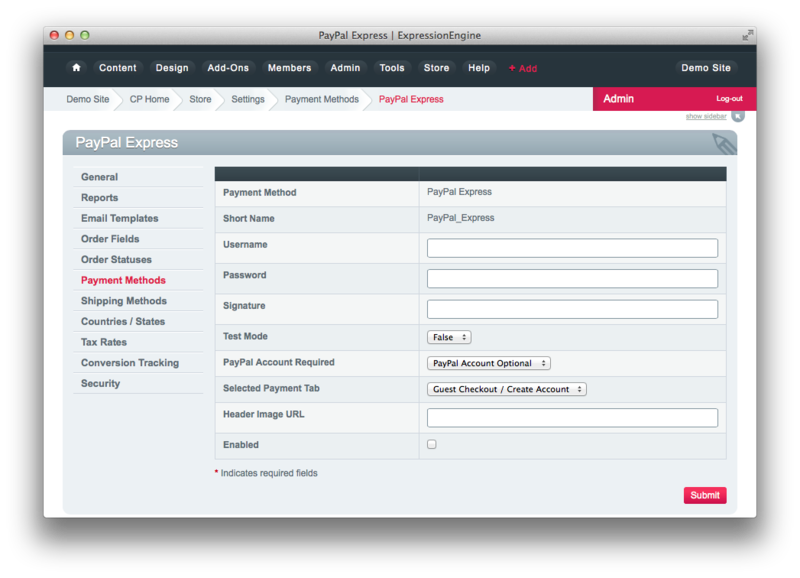 In addition, each payment method has its own set of options, which will be displayed after you select the gateway.